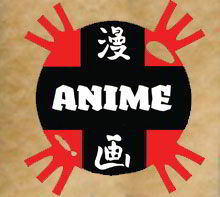 Here you will find all of our products with designs based on anime TV and movies, and Japanese culture as a whole. Whether you're a fan of Naruto, Full Metal Alchemist, Pokemon, Dragon Ball Z, Death Note or even sushi, we're sure we'll have something for you! ^_^ It's not cartoons! It's An Anime Thing ..